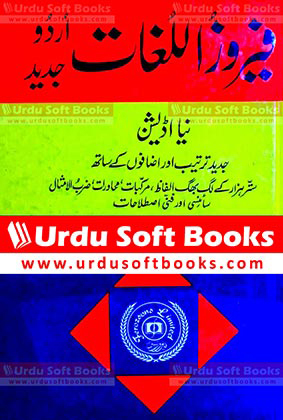 Download PDF Book Feroz ul Lughat Urdu to Urdu Dictionary new and latest edition. Feroz ul Lughat is very famous Urdu to Urdu Dictionary, if we call it No.1 Urdu Dictionary in the world, it will never be wrong. It is best Urdu translation solution, this is new and latest edition with new arrangements and additions. At least 70 thousand words, compositions, expressions, scientific and technical support. Meaning and explanations of latest Urdu words along with full Urdu grammar support and necessary bookmarks. as Pakistanis our National language is Urdu and we need Urdu to Urdu Dictionary in our daily life, Feroz ul Lughat Urdu to Urdu Dictionary is published by Feroz Sons, which is one of oldest book publisher in Pakistan. You can read online or download Feroz ul Lughat Urdu to Urdu Dictionary in PDF Format using below links. Your feedback and comments will help us to improve our Urdu Books collection.